If you'd like to get into a 500 factory horsepower hot rod without liquidating your 401k, there are a few options. You could get a high mile V10 BMW M5, but if you prefer something that is more grunt and two fewer cylinders, the choice is easy...E63 AMG. 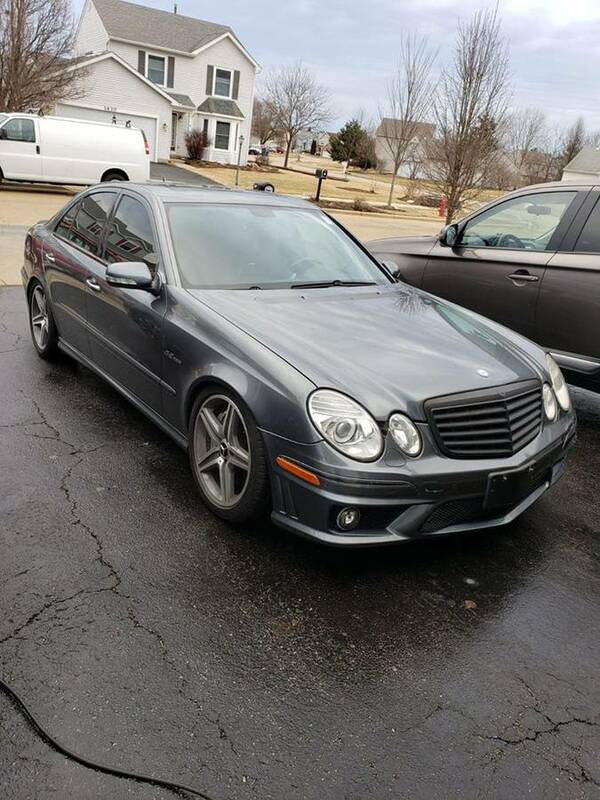 Find this 2007 Mercedes-Benz E63 AMG offered for $13,500 in South Elgin, IL via craigslist. Tip from Tyler. M156 engine which is one of AMG’s best engines ever made. In good condition. Stock besides the carbon trunk spoiler and blacked out badges. -front bumper does have a crack so could use repair and repaint if you would like it to be perfect again. -Air suspension system does have a leak somewhere. (not the struts themselves) I would guess by compressor or distribution block. The system works fine just loses air once parked for a few hours. When starting it back up it fills no problem. Its more prevalent with cold temperatures. Should be fairly simple to fix this leak once found i am just not by the car to do so. Alternatively you can convert to coil overs for improved performance and to never deal with airmatic again. Overall its a great car. Makes an awesome daily driver with plenty of power. These cars are “alot of car for the money” and are surprisingly very reliable. No rust on this car and no fluid leaks. 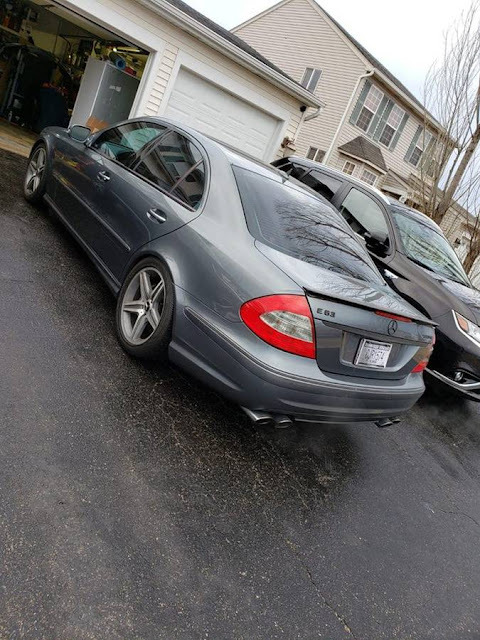 The car is currently in South Elgin IL if someone is interested in seeing it/buying it. I am in naples FL. I can take payment or deposit for the car and overnight the title to my friend to hand it over or fly out there and hand it to the buyer myself. Otherwise in a few weeks ill fly and drive this thing to FL. Hopefully you leave the skid marks on the pavement and not in your shorts!